As a writer and entrepreneur who has spent time as a teacher and a graduate student, I've seen some busy days. I wish I could tell you that I've always been good at time management, but learning how to fit everything into a day has taken years of trial and error. It wasn't always pretty, but I've learned a few strategies for staying on track. *This post contains Amazon Affiliate links. I only link to relevant products in my posts. One of my jobs involved talking to hundreds (yes, hundreds!) of people about how they organized their days. The most productive people that I encountered didn't just look at their to-do list for the day and get crackin'. They could clearly articulate a system for how they accomplished everything they needed to do. Post-its or a note taking system for thinking about your day. In college, a productivity expert once told me that if I couldn't condense my to-do list onto paper the size of a standard post-it note, I was trying to do too much. Marie Forleo urges people to simplify further by writing one thing they want to focus on for the day on a post-it. Day planner. How are you going to schedule your time hour by hour? Be realistic. Just because you write it doesn't mean it will happen. You have to come up with something that you can achieve. Planner with a weekly view. This can be the same as the planner where you schedule your hours. My planner pages run from Sunday to Saturday. 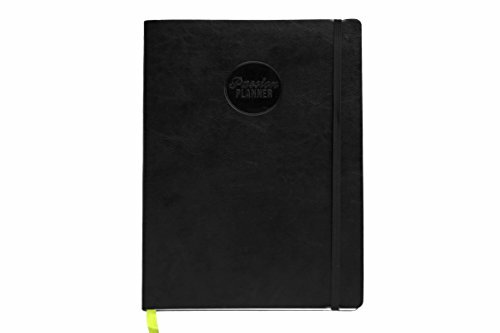 (See the product link for the planner I use.) I not only get a chance to plan how each day will look, but I can get a sense for how my week will work. Monthly calendar. I have three ways of doing this. The monthly calendar in my planner is for goal-setting and big-picture plans. I also have a standard wall calendar for birthdays, major appointments, and things that could change my workflow. Even though I prefer to write most of my plans on paper, I keep a Google Calendar with reminders. The electronic calendar is important in my household because my husband and I both contribute to it. Seeing what our collective responsibilities are helps us maximize our time together. A quarterly plan. A year only has 365 days, and we often have bold expectations about what we want to accomplish. Setting quarterly goals can break the year into more manageable chunks. At the end of each quarter, decide if your goals are the same, and what you need to do to carry out your plans for the year. Here's an example of what Marie Forleo calls a "onesie." I just plop this on my desk and glance at when I feel like I'm losing focus. Pick a time to plan your week. It doesn't matter what day or time you choose, but it should make sense to you. I spend at least five minutes noting the positive things that happened in the previous week. Even when a week feels like a complete bust, I make myself find good things to talk about. I use this exercise in gratitude to get excited about the week to come. Plan around events first. Usually these are one-off occurrences that I've noted on my monthly calendars like vacation days, training sessions, or doctor's appointments. If it's going to alter my workflow and it's non-negotiable, I plot it first. Block out work hours. You know your time is going to be occupied, so you may as well confirm that by filling in your work time. Even though I don't have a standard 9 to 5, I still keep office hours, and I still write out what I am doing and when. (Since I make my own schedule, I usually plot my work hours around my self-care, but I know this is not a practical option for everyone.) Knowing when you are supposed to be working keeps you on task and allows you to address scheduling conflicts early. Consider your self-care. WHOA! Yes. This is important. I know that I need to walk at least one mile with my dog every day. I use the time to clear my head, get some exercise, and help my canine burn off some energy. I also devote 3-5 hours per week to my physical yoga practice. I'm fairly intolerable if I don't stick with my practice, and when I get cranky I don't work well. Don't forget things like meals and sleep too! Food and rest is fuel in the tank. Make room for your relationships. I consider time that I spend with my partner, family, and friends to be a form of self-care that requires special consideration. Just like everything else, time with the people you care about needs to go into your schedule. Since my schedule is very flexible but my husband's is not, I plan my days so that I can get everything done and spend time with him. When he has duty, I work longer hours so that I can afford to work fewer hours on the weekend. Since I live half a world away from my family, I always allot time for talking on the phone with them. Fill in the gaps. Any spaces that are left are open for whatever you choose. I generally read or daydream when I have gaps in time. I know I need to go to the creative well every day, and to do that, I need space to think and time to consume other creators' work. When you reach step 5, your week is probably looking pretty full. Don't get overwhelmed! This is great. You don't want to look back and say, "I didn't do anything all week." Now that you know when you are going to be working, handling appointments, and taking care of yourself, think about what's left. Do you have blocks of time that you can devote to trying new things? Can you finish that book that you want to read? Would you prefer to leave that space open to add some spontaneity to your days? Adjust the game plan when necessary. Stephen Covey, author of the The 7 Habits of Highly Effective People, says, "The key is not to prioritize your schedule, but schedule your priorities." I interpret this as permission to take those scheduling steps out of their traditional order sometimes. If I need more self-care, I can always plot it earlier in the process. When my partner is on leave, scheduling time for us to be together may take precedence over office hours. I can make these changes without neglecting my work because I've considered my schedule in daily, weekly, and monthly formats. I'm going to be nerding out at a convention this weekend, and I've known this for months. I've front-loaded my writing duties so that I can have my cake and eat it too. There's no scrambling here--I'm just riding that wave we call life. I hope you got some ideas about how to make your day run more smoothly. I wish you many days of productivity and balance. Have something you want to add? Leave it in the comments below!